TFH “Basic Training” brings smaller groups together for a slightly more condensed course, without excluding any of the fundamentals or the experience. We have always believed that glider control is paramount – and our courses focus on getting you to a level where you are always in control and knowing what the glider is doing. We achieve this through a multitude of ground handling drills, several hours practicing with the glider in low wind, high wind, and no wind. 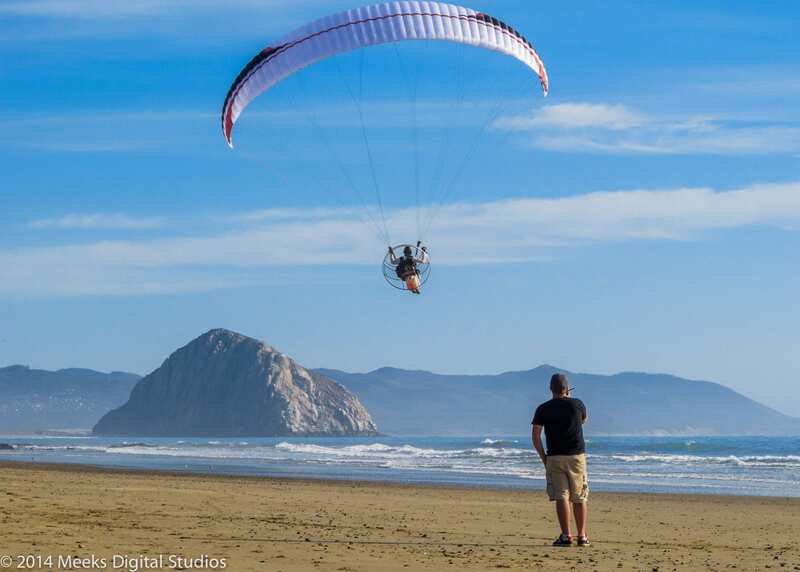 We round out your glider control experience with paragliding or “free flight” drills that range from short hops off the dune to all-out ridge soaring when conditions allow. 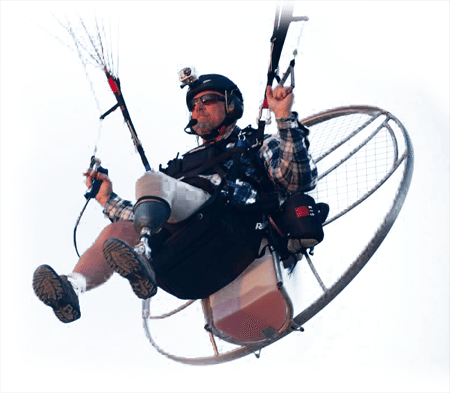 We tie this in with instructional tandem paramotor flights as well as “ground drills” with the paramotor on your back. By days 5-6, you are ready to execute a safe supervised solo and begin knocking out the in-flight tasks. TFH “Basic Training” differs from our previous program in that the classes are small – maximum of three students. 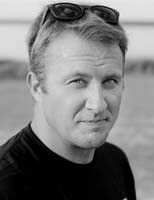 There are nine training days total, and the cost of the course is only $1800. You will be responsible for finding your own way to class and local accommodations, but we take care of the rest! All training gear and study material is provided by TFH, you just get yourself to class with a great attitude ready to give it your all. Basic Training is reserved for those who are fully committed to joining the sport, have done their research, and know that Fly Halo is the team to join. 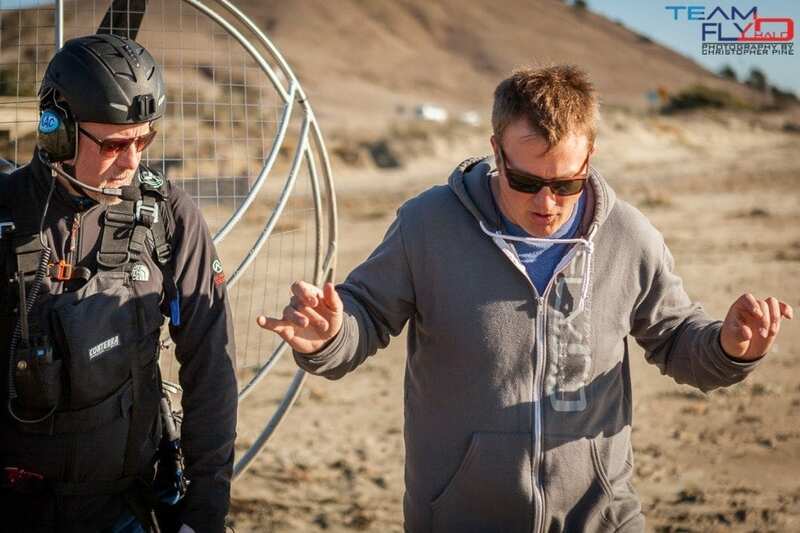 While we do provide gear for training, we ask that you use us as your source for all things paramotor, and purchase a package. We make that easy by applying a $500 package discount for all TFH students purchasing a paramotor, wing, and reserve. Tight on cash? No worries – we believe that it’s better to get quality used equipment vs. new “low end” gear. Just let us know your needs and we’ll do our best to find the right fit. Call today to see if you’re a good fit, as our courses fill up fast! We offer students ASC and USPPA ratings, for those who wish to pursue and earn them. 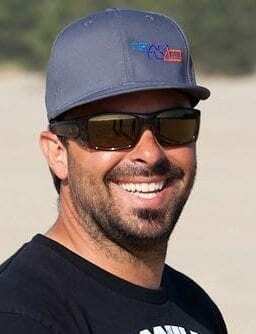 Check out our Powered Paragliding student feedback section to hear what our past students have to say about our training. Our training sites offer world-class conditions with a variety of scenarios built towards crafting you into a well-rounded pilot. Situated on California’s central coast, Morro Bay is a sleepy beach town that has always been one of our favorite flying sites. Aside from the stunning scenery, Morro Bay has adequate weather nearly year-round for newbs. More specifically, we get a laminar onshore breeze for most of the day, combined with several beach sites that are uncluttered and ideal for all phases of training. Ground handling on the beach, short flights from sand dunes, and a large free-flight hill tucked back against the coastal range are all within a mile of each other to maximize your experience. After tandem flights with your instructor, you’re ready to fly one of California’s most scenic beaches while learning the in-flight tasks. Students will have tons of options for lodging ranging from low-cost AirBNBs to high-end hotels if you’re the fancy type. The nearest regional airport is San Luis Obispo (SBP), and all training is done in the greater Morro Bay/Cayucos area. Many people get held up on having to travel to learn for nine full days away from home. We’ve found that small groups, learning from start to finish together is the best method for turning out safe pilots consistently. Full-immersion courses with peers keep everything you’ve learned fresh in your mind from day-to-day, and allows you to progress much faster than if you were doing “piecemeal” lessons one-on-one. “Local” training programs can be ideal for a lot of students out there; but many find that if they’re doing one or two weekends a month, they have to “start over” every time they come out for a lesson. This results in lost time, forgotten skills, frustration, extra cost, and often results in students dropping out. We’ve built this program to turn out excellent pilots time after time, and have found that the most successful pilots are those ready to jump in with both feet. Team Fly Halo’s Basic Training isn’t for everyone. If you’re relatively fit, a quick study, and ready to commit to this sport – it might be for you. Give us a call at 855-FLY-HALO or contact us at [email protected] to see if you’re a good fit for the program. Please Contact US for more information or sign up for our newsletter and find out when and where we are training next!